So, it's supposedly spring now. Which should mean that lots of us are going outside more often. One of the things I enjoy doing in the warmer times is going for bike rides. Or going out for a picnic with my family. After a good bike ride, or while lounging during the picnic, it isn't unheard of to pull out my tablet and do some perusing. Sure I can use my phone, but hey, while I'm relaxing I like a bigger screen. But, oh no... no internet on my tablet. I don't have a 4G model. How about getting some of that internet my phone has then? We'll need to set up my phone share it - i.e. 'make it a hot-spot'. Otherwise known as 'tethering'. Tethering is pretty simple... Just gotta be careful about one thing tho', and we'll get to that after we show you how. Just set your phone to act as a hot spot. 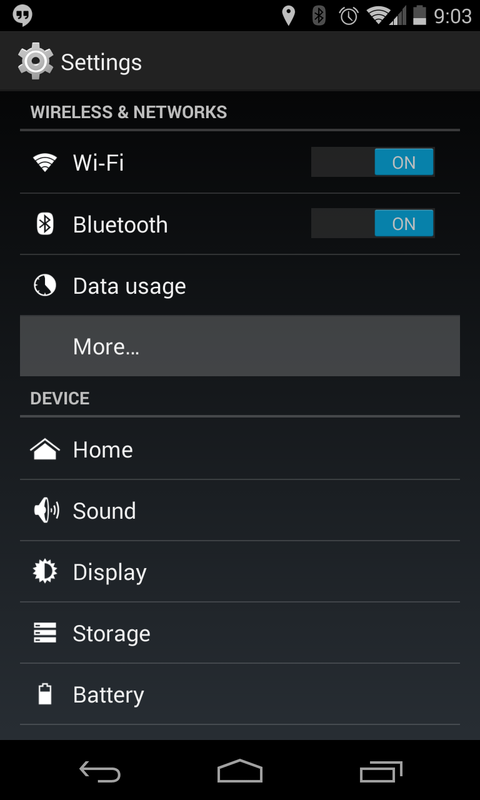 Simply click the menu and go into the Settings. From there, choose the 'more options' under "Wireless & Networks". 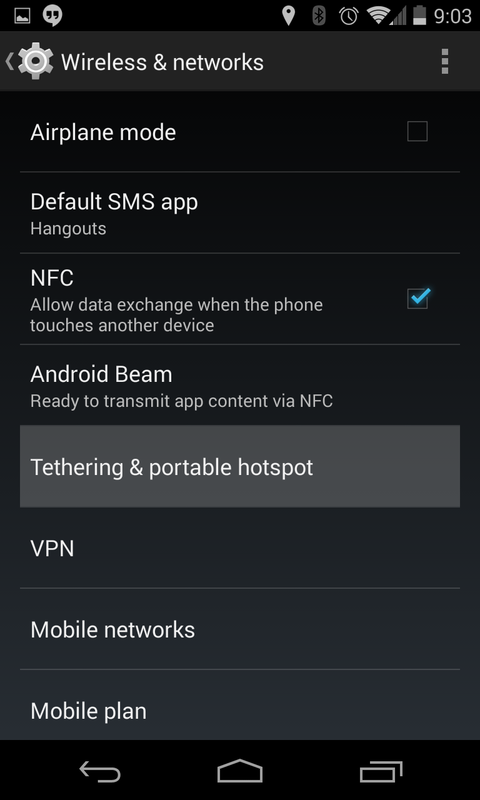 Then you'll see the "Mobile Networks" option, and click it and you'll see the checkbox to set it up as a 'hotspot'. Then you can check the option below that and you can set up your SSID options (i.e. what your other device should look for). 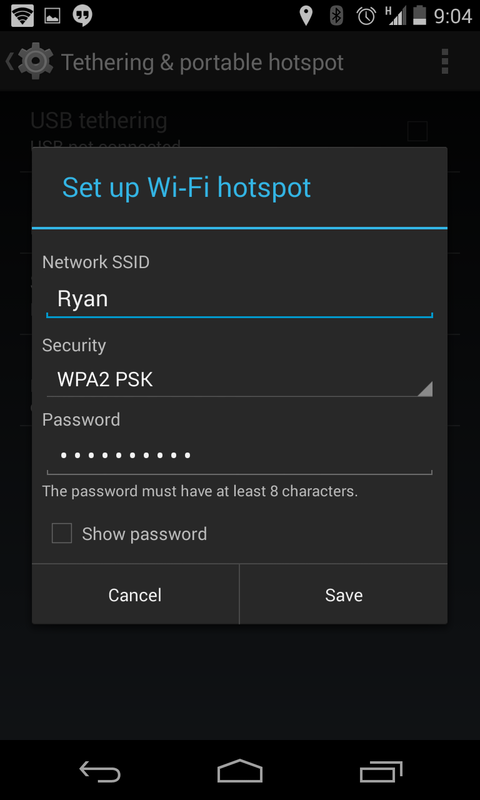 Give the 'hotspot' a name and a password. Simple... done. Now, on your other device, be it a laptop, tablet or another phone, just turn on wifi, look for the SSID you just set up and blam... you're connected. 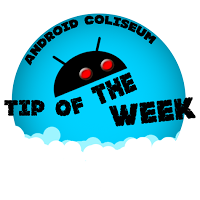 +Pierre Renaud suggested setting up a widget on your device to 'flick the switch' to turn your hotspot on. If you use it frequently enough it's a good suggestion to. Now... things to be wary of. Some devices, laptops especially can really start tearing up the internet. Laptops will try to stream HD video... tablets have apps that have background syncing. As soon as it senses internet it just starts to pull at it all it can. 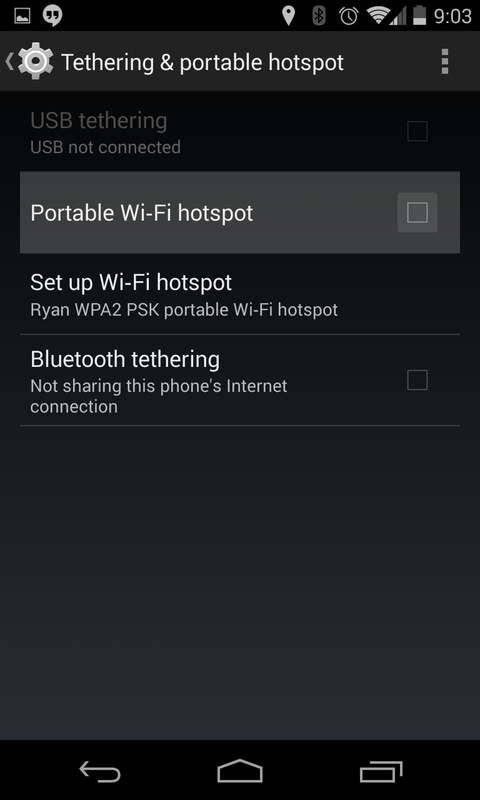 So, if it's a tablet, or phone, you can set up the options to know what wifi spots are tethering spots... essentially telling it to not be a big hog with the internetz.